As has been my want over the past few years, I'm going to present a "here's where we stand" analysis of the voter registration pool in the Old North State. While a lot of folks are making their 2018 predictions, I've decided to stay away from the mindless "here's what's going to happen" in the new year because if the past three years have taught us anything about politics, it is that punditry predictions are usually pointless. 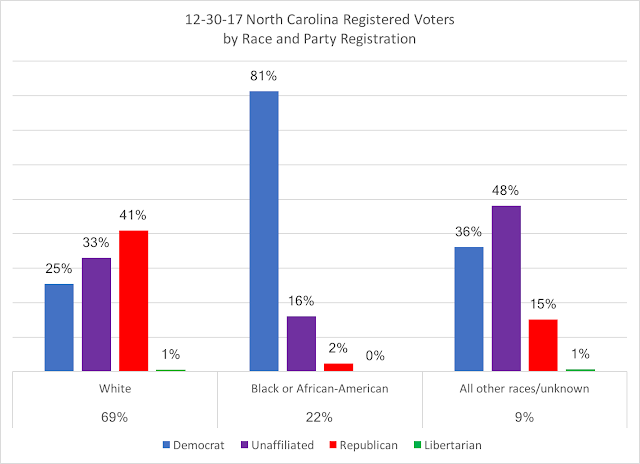 So, with that said, North Carolina's voter registration pool ends the year with 6.8 million registered voters (active and inactive voters), a decrease of 79,000 voters (or down 1.1 percent) from the November 2016 pool. Of these 6.8 million, 39 percent are registered with the Democratic Party, 31 percent are registered unaffiliated, and 30 percent are registered Republican, with less than one percent registered Libertarian (I'll be focusing these analysis and charts on the big three registration groups). 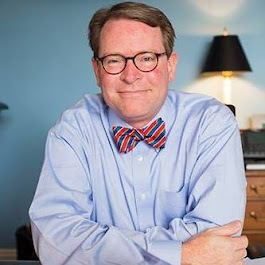 This year was a notable one in the fact that registered unaffiliated voters surpassed registered Republicans to claim the second spot in the Old North State. 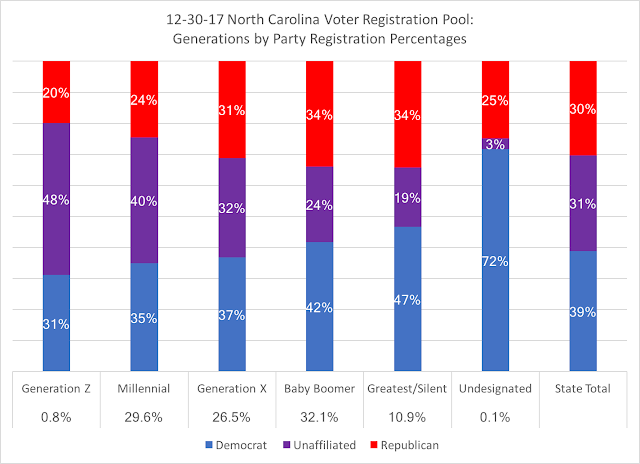 Another notable facet of the voter registration pool is the ascent of Millennials and Generation Zers (Millennials being born between 1981 and 1998, with Gen Zers being after and the first ones registering this year). 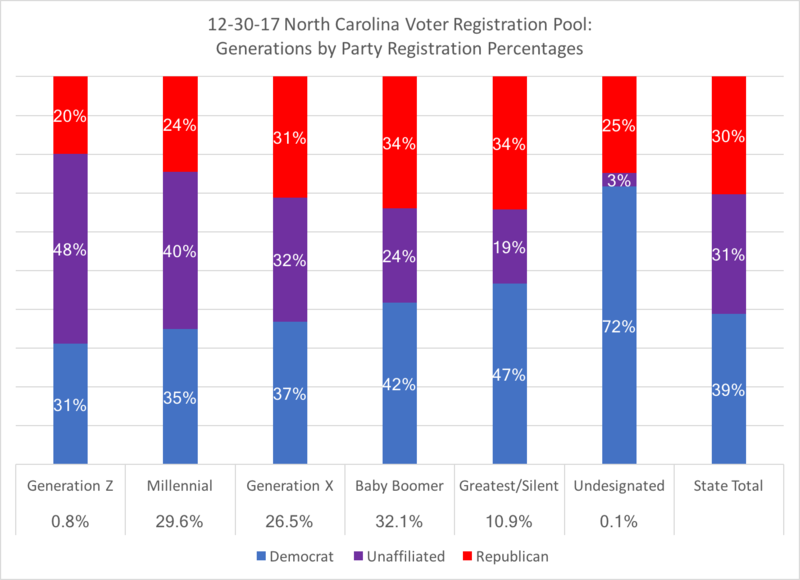 The entire pool breaks down with Baby Boomers (born between 1945 and 1965) still claiming the plurality of the voter registration, but just barely at 32 percent, while Millennials and Gen Zers combined are at 30 percent; Generation X (those born between 1966 and 1980) at 26 percent, while the Greatest/Silent generations (born before 1945) are 11 percent of the pool. 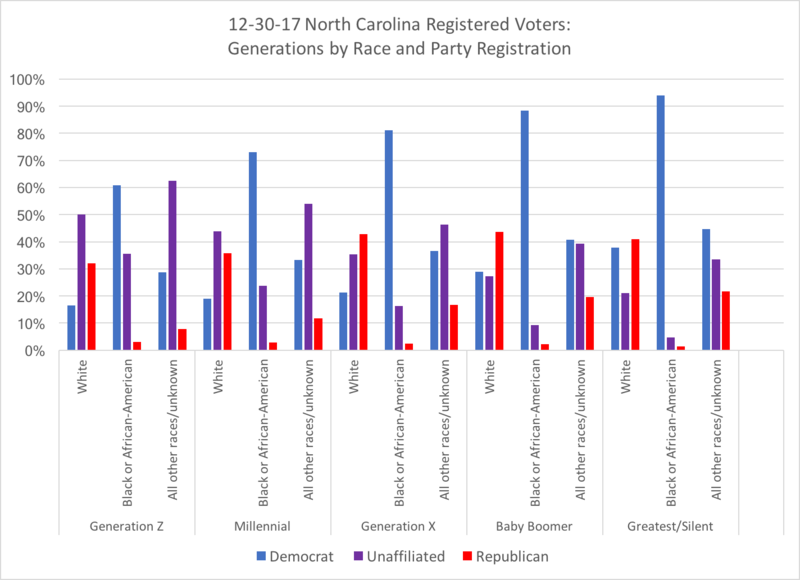 The rise of the North Carolina unaffiliated voter is driven by the generational shifts, with only 19 percent of voters over the age of 73 registered as unaffiliated, compared to 48 percent of Generation Z voters preferring no party affiliation. 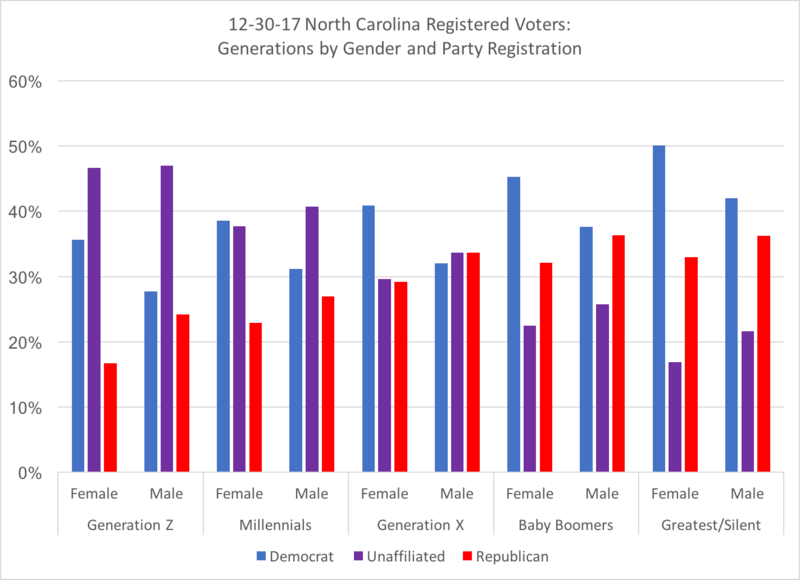 Partisan registration is subsequently declining, but the fact that only 20 percent of Generation Z registered voters (so far) are identifying with the G.O.P. should be a clear warning sign to the Republican Party. More on this later. I had thought (again, this is a dangerous thing to do) that by this point, voters under the age of 35 (Millennials and now Generation Z) would be an equal percentage to Baby Boomers, but they haven't quite caught that generation yet. 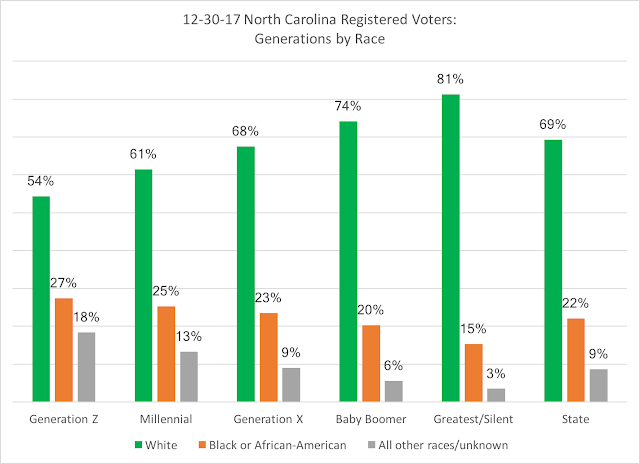 Perhaps this year, but most definitely by the next presidential election in 2020, North Carolina will have a voter pool with a plurality of the younger generation cohorts. Within the two graphs, we see other important dynamics that are impacting North Carolina politics: the urbanization of the state and the racial diversification of the voter pool. 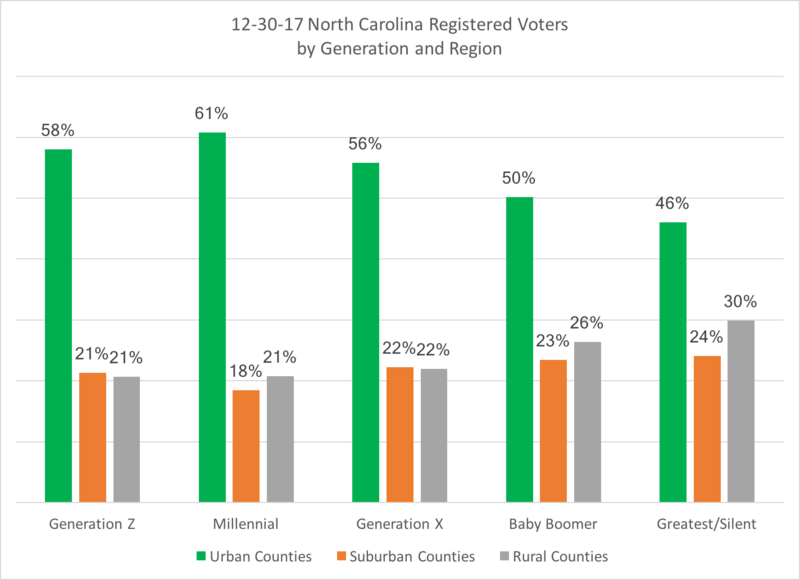 In general, 54 percent of all North Carolina voters live in the nineteen urban counties (as defined by the OMB), with another 22 percent of voters living in 24 suburban counties out of the 100 counties (more on this "regionalism" later as well). As is the case generally nationwide, younger voters (Millennials and Generation Z) reside in urban areas, with nearly 60 percent of NC younger voters registered in urban counties (of course, this would include the major universities in urban areas). Along with this urban trend, younger voters are racially diverse as well: while state-wide, 69 percent of the voters identify as white, only 61 percent of Millennials and 54 percent of Generation Z are white. all other races (Asian, Native Indian, Other, and Multi-racial) have also been moving solidly into the "unaffiliated" camp since the Generation X cohort. In recombining all generations and focusing solely on race, the party registrations among racial groups show that white voters are plurality Republican registration, black/African-American voters are overwhelming registered Democratic, and all other races are decidedly unaffiliated. Within the parties, only 45 percent of registered Democrats are white, while 75 percent of registered unaffiliated voters are white, and 94 percent of registered Republicans are white. 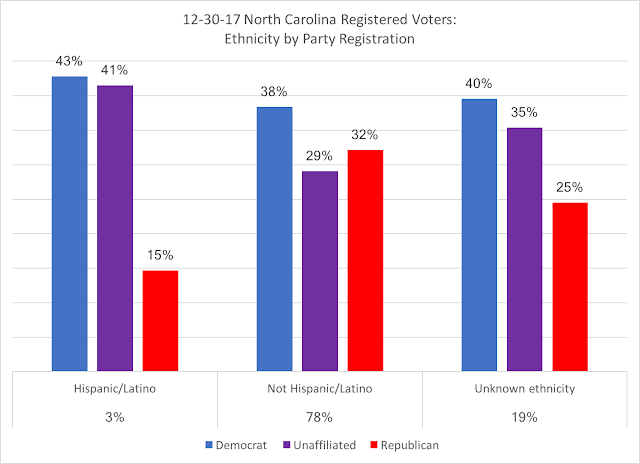 Separately, ethnicity within the 6.8 million NC registered voters show that only 3 percent identify as Hispanic/Latino in the state, but among those voters, they are much more likely to be registered Democratic or unaffiliated. 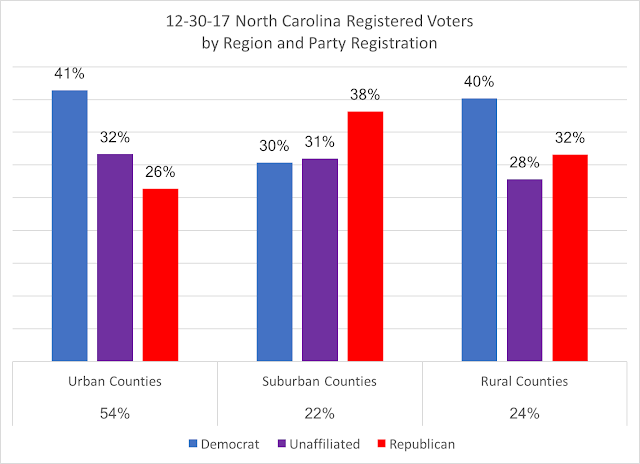 Finally, in looking at regionalism within the state (urban, suburban, and rural counties), the Democratic-leaning of urban areas, while suburban NC leans most Republican, is evident in the registration figures. 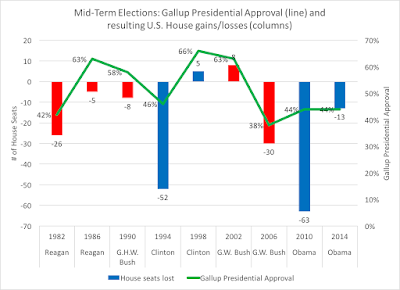 As North Carolina enters 2018 and the "blue moon" election cycle of no major state-wide office being contested, the dynamics of watching what could be an interesting mid-term election year may be found in the registration numbers and trends as we march to November.